Daily Debate: If You Had The Power Of The Triforce, What Would You Do With It? While we recently debated whether the Triforce’s powers and influence were better off being eliminated from the equation, we also cannot deny the benefits of such a powerful relic. A gift from the Golden Goddesses long ago in the Zelda series’ history, the Triforce is simultaneously the representation of stability in the world while also being an artifact capable of throwing that same stability out the window. In order to use the Triforce for its intended purpose, the one who touches it and makes a wish must have equal parts Courage, Wisdom, and Power. When someone who has these equal parts makes their wish, the innate power of the relic activates and much like a genie, nigh-instantly grants the wish. Sometimes this is done literally, while other times the wish can have effects not originally intended by the wish-maker. But stability and wish-granting aren’t the Triforce’s only powers. As the name implies, the relic is made up of three parts and when someone not of equal parts Courage, Wisdom, and Power attempts to use it, the relic will split into it’s respective pieces and grant a modicum of power related to its component to the three people most representative of those aspects. For example, Ganondorf received the Triforce of Power upon touching the artifact in Ocarina of Time, which increased his already formidable powers as a warlock, allowed him to transform into his Ganon form, and granted him a form of immortality. 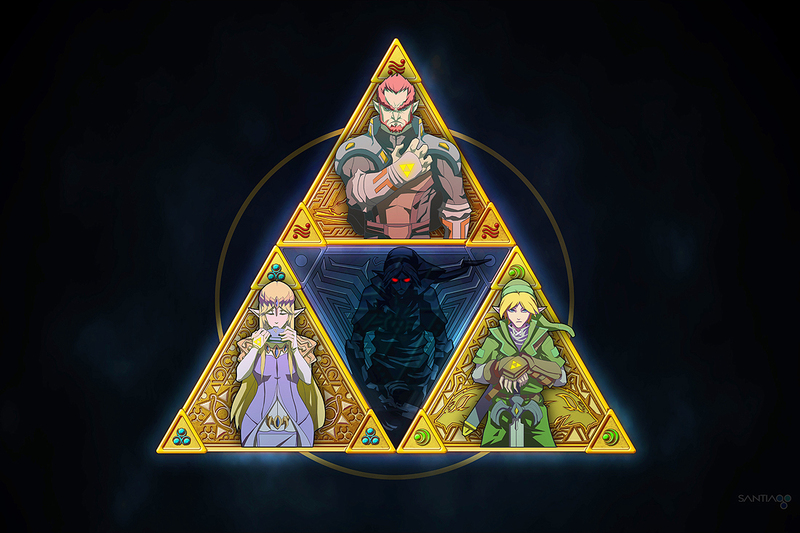 So with all of that in mind, what would you do if you had the power of the Triforce? Let us know what machinations you’re up to in the comments below! Feature image art by Pertheseus.